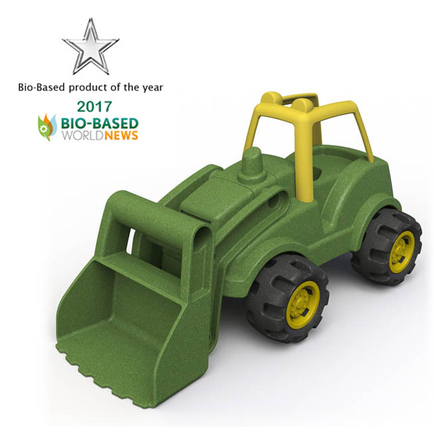 Winner of the 2017 Bio-Based Product of the Year! BeginAgain's John Deere Eco-Rigs—a Front Loader and a Dump Truck—have working scoop and dump features to encourage active, creative play. Made from plants in John Deere's signature green and yellow, and are recommended for ages 3 and up. They are made from actual sugar cane and corn cob so they smell like the real thing!